If you want to bring this concert to your local area, please fill out our Booking Inquiry form here! 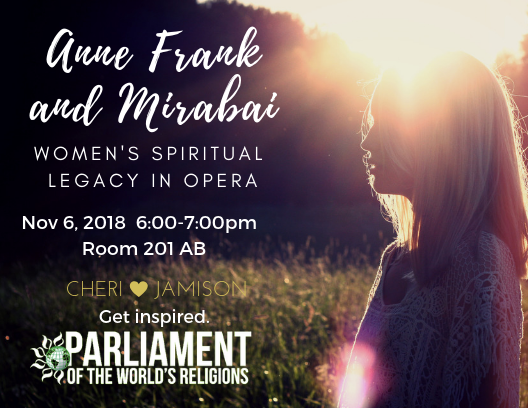 Cheri Jamison is an inspiring opera singer whose crystal clear voice has been described as “evoking mystic presence,” interpreting prayerful hymns on her album, Sacred Prayers. Trained at USC’s Thornton School of Music, Cheri sang a tour-de-force role in the one-woman opera, “The Diary of Anne Frank,” with the Long Beach Opera for 7 years, introducing over 15,000 people to opera during that time. Cheri is also highly cherished as an inspirational singer, being featured at three spiritual world headquarters and singing the opening invocation music for luminary speakers such as Arianna Huffington, Neal Donald Walsch, and Iyanla Vanzant. Sora Park, born is Seoul, South Korea, is an active soloist and collaborator in the Kansas City and Lawrence areas. She holds multiple awards and prizes as the winner of the 2014 Artist Presentation Society Auditions in St. Louis, the 2013 University of Missouri-Kansas City Chancellor’s Concerto Competition, the 2011 American Prize, and the 2009 Western Illinois University Concerto/Aria Competition. Sora has been selected for master classes with prominent pianists including Sergei Babayan, Andre Watts, Stanislav Ioudenitch, and Dae-jin Kim. 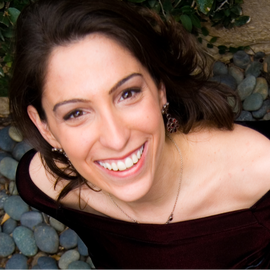 She has also appeared as a soloist in such prestigious venues as Helzberg Hall and Folly Theater in Kansas City, MO. Sora currently serves as a staff accompanist at MidAmerican Nazarene University in Olathe, KS, while she is completing her doctorate degree at the University of Kansas. This one-woman opera written in 1968 by Grigori Frid takes the listener on a journey with Anne Frank from the time she is gifted her diary through the 2 years she spent in hiding from the Nazis during WWII. Today's performance consists of excerpts from the full opera interspersed with actual entries from Anne Frank's diary. The music is not melodic in the traditional sense, but the leaps and sweeping vocal lines are very emotional, capturing the enthusiasm of Anne's lively spirit while conveying the gravity of her and her family's situation. Anne Frank’s story is a reminder of the dangers of exclusion and discrimination. Yet, Anne’s legacy is not in what she could have been had she not been murdered in a concentration camp, but her resilience, self-reflection, and ultimate core belief that mankind was still “good at heart.” If a 15-year-old girl in her circumstance could choose that mindset, it calls us forward to do that, too. Music by John Harbison, Poetry by Mirabai, English translation by Robert Bly. "The Mirabai Songs" by John Harbison is a song cycle, not part of any opera, but a stand alone set of pieces containing musical and poetic themes. It's a beautiful complementary piece to "The Diary of Anne Frank" musically and stylistically. You'll notice similar expressive and virtuosic vocals, a piano accompaniment that mirrors an orchestra, and lyrics that are both conversational and transcendent. Mirabai’s story is compelling. As young Hindu woman going against a brutal patriarchal tradition at the time in 16th century India, through her love of Krishna, she blazed a trail to become one of the most important poet-saints of the Bhakti movement. 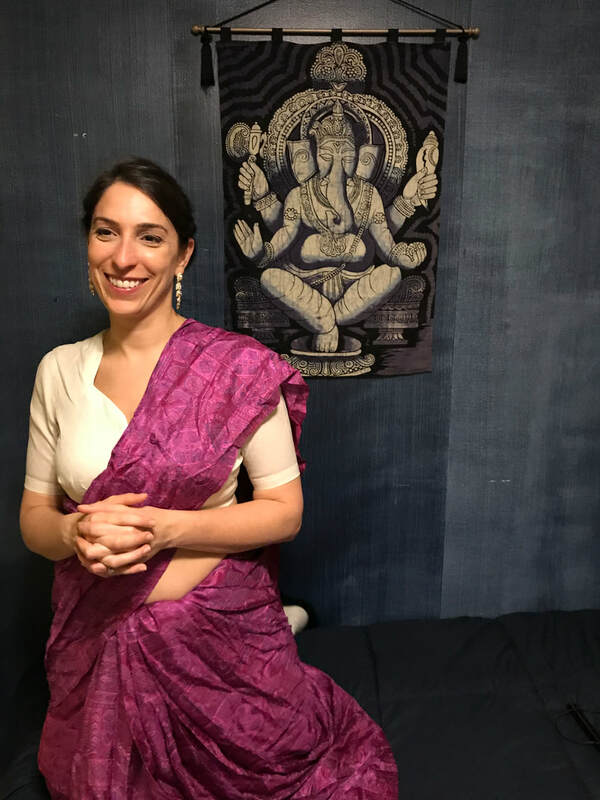 Mirabai’s poetry is like a glimpse into the soul and dharma of one dedicated to the path of devotion, humanizing and thus inspiring a more global understanding of that movement. Mirabai's poetry is written to Krishna, one of the primary Gods of Hinduism, though she always calls him other names, such as The Dark One (he is often depicted with blue or dark skin), Dancing Energy, Mountain Energy, Holy One, etc. "He who lifts the mountains" refers to a story when Krishna lifted a mountain over an entire town like an umbrella to protect them from floods sent by another angry god. You'll hear references to reincarnation, a tenet of Hinduism and touching the soles (feet) of the guru, as a sign of reverence. Mirabai sang her songs fearlessly and publicly in the streets. She didn't care about family tradition and was persecuted for her unusual lifestyle choices. Yet her poetry endures centuries later, and Mirabai is now a cultural icon. You say I paid too much; I say too little. Actually, I put him on the scale before I bought him. Be with me when I lie down; Be with me when I lie down. You promised me this in an earlier life. for every hair of that dark body. and the Dancing Energy came by my house. ​I saw it from the side smiling. And imply things in a low voice. But my eyes have their own life and they know whose they are. whatever you want to say of me. all the other colors washed out. those are my scarves and my rings. That’s enough feminine wiles for me. I praise the Mountain Energy night and day! I take the old ecstatic path. I don’t steal money, I don’t hit anyone! and now you want me to ride on a jackass? after you left my body? and then you disappeared and left the lamp alone. leaving the boat in an ocean of parting. Mira says: Tell me when you will come to meet me. I wept at the dark clouds. Black clouds soared up and took some yellow along. Rain did fall, some rain fell long. as I wait, as I wait in the open door for him. is the energy Mirabai bows down to. and you set a torch to it. smear me on your shoulders and chest. ​I want to mingle it with yours.